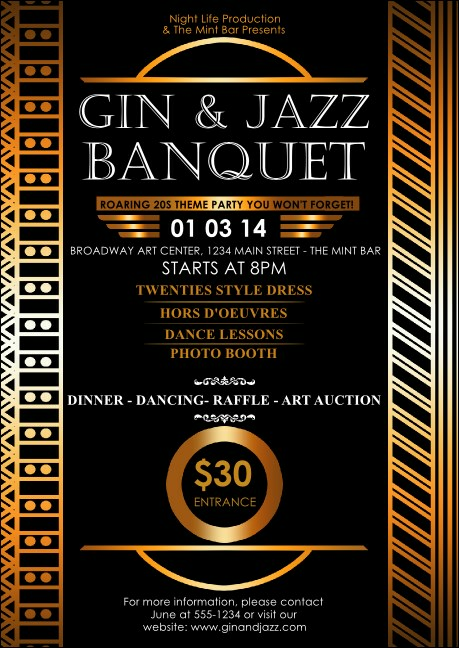 Add a valuable accessory to your promotions with the Twenties Club Flyer. Printed on high quality card stock, this elegant design features shimmering gold details framing all your party details. Send to your guest list or leave with participating businesses to find new guests!